All of your senses will be enriched from time spent at The Kitchen at Middleground Farms. From the beauty of the surrounding farm land, to the delicious tastes from The Kitchen, we delight in providing you with a transformative experience you will always remember. The Kitchen at Middleground Farms is a recreational cooking school located on a family hobby farm 20 minutes south of Portland, in Wilsonville, Oregon. Our cooking classes explore fundamental skills in the kitchen and garden, as well as the lost arts of handcrafting and preserving. From honing your knife skills, to learning how to enhance your meals with seasonal sauces, we will guide you through the science behind food and why it behaves the way it does in different situations, making you more confident cooking in your own kitchen! Growing up in a small Oregon farming community, Jessica learned first-hand where food comes from. From spending summers picking strawberries at local farms, to churning butter and putting up vegetables with her grandmother, Jessica has always enjoyed getting her hands dirty in the earth and in the kitchen. After earning a business degree from PSU, Jessica worked both in banking and the pharmaceutical industry, spending her free time and lunch breaks perusing the local gourmet shop Pastaworks, or spending hours reading through the cookbook section of Powell’s Books. 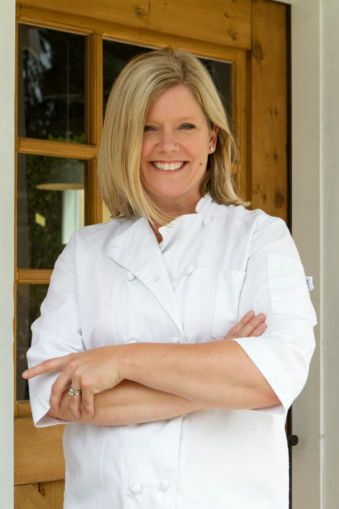 She developed a passion for making and sharing great food. She left her career and enrolled in culinary school. Jessica completed her formal training, graduating the top student in her class at Le Cordon Bleu College of Culinary Arts in Portland, OR. In demand running her own catering business, Jessica concurrently helped develop the Sur la Table culinary program and there she learned of her love for sharing her knowledge with others. She has spent the last eight years partnering with Wolf & SubZero appliances in a kitchen-classroom environment helping others become comfortable and gain confidence in their own kitchens. During her professional journey, Jessica personally became more aware and disheartened by the conventional food system. She started seeking out alternative sources for her own family’s food, from locally raised meats, to fresh local dairy. She started making her own cheese and traveling to other artisan creameries to gain exposure to their craft. In 2011, she and her husband Jason bought a 17 acre farm in the Willamette Valley. She started her small herd of dairy goats from two “bottle babies” named Brie & Benji. Then came the chickens….the llama George…twin human baby girls Ava & Camille…and who knows what’s next! Andrea’s journey of loving food first began with learning how to bake from her mother, who is from Kansas. During the school year, Andrea lived in Tucson, Arizona where she fell in love with the local Sonoran Mexican culture and cuisine. During the summer, Andrea and her brother spent time on their grandparent’s farm in Kansas picking strawberries, harvesting walnuts, fishing with their grandfather, and canning produce with their grandmother. After spending time in the fitness and nutrition field, Andrea could no longer ignore the time she spent in the kitchen learning from her mom. She left Arizona and attended the California Culinary Academy in San Francisco, CA where she earned an A.O.S. degree in Culinary Arts. Andrea spent the next four years working in Pastry for the Kimpton Group in San Francisco, before she returned to Arizona where she lead the Pastry Kitchen at the Arizona Inn in Tucson. She was then recruited to work at Sundance Resort in Sundance, Utah, assisting the Pastry Brigade for Robert Redford. In Portland, Andrea lead the pastry kitchens for two local restaurants and then became a Chef Instructor in both the Pastry and Culinary Arts program at Le Cordon Bleu in Portland, OR. This is where she fell in love with the rewarding path of teaching others in the kitchen. 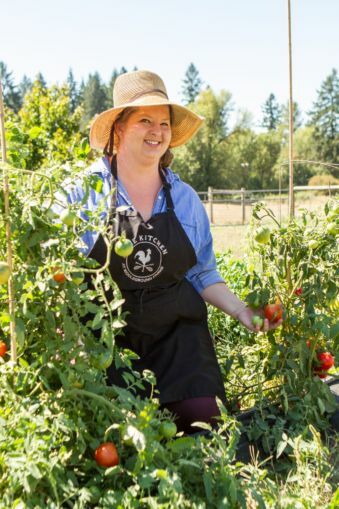 Most recently, Andrea taught cooking classes and managed the culinary program at Sur La Table in Portland for four years before she was recruited by Chef Jessica to join her team of farm and food enthusiasts at The Kitchen. Yay to coming full circle for Andrea! A Southern California native, Kate grew up making Christmas cookies with her mom and giggling at her dad’s scrambled egg fillings. She realized her calling to cuisine while spending six years in the Air Force, stationed in New Mexico and England, where she often found herself daydreaming about food. 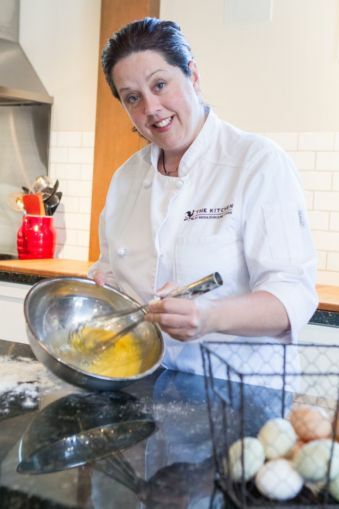 In 2014, she moved to the Portland area to attend Oregon Culinary Institute and graduated with Baking & Pastry and Culinary Management degrees. Kate completed her Culinary externship at The Kitchen in Summer 2016 and remained as a part-time employee while also working at local bakeries. She joined the team at The Kitchen full-time in Summer 2017 as Chef and Farm Manager where she enjoys sharing her culinary knowledge, caring for the animals, and developing the culinary garden. Her hope is to be able to grow exactly as much parsley as we need to never buy it from a supermarket! When she isn’t at The Kitchen, Kate is busy troubleshooting her family’s culinary and baking projects and helping her housemates tend their growing backyard homestead.